Is Marlo Thomas laughing at Ted Bessell's crooked seams? A male gets dressed as a female on a television show or in a film. When he is finished, someone comments that his seams are not straight. In response, our hero checks out his gams, notices the unseemly seam and proceeds to adjust his hosiery to fix his fashion faux pas. I think the first time I saw that scene was on the television show That Girl. On that show, Marlo Thomas's hapless boyfriend, played by Ted Bessell, had to dress as a woman for some reason and Marlo's father, played by Lew Parker, noted Ted's crooked seam(s). Since that time, I've seen this scene repeated numerous times and each time I see it, it bothers me. Because there are NO SEAMS!!!!! I admit that you can still find, buy, and wear seamed hosiery (I know it, I've done it), but in every instance in a film or television show where the seam scene plays out, the crossdresser is not wearing seamed hosiery. After I saw this scene a few times, I thought I was missing something and started looking for seams in my seamless hosiery! When I could not find any seams, I realized that the seam joke was just a carryover from the days when women and crossdressers wore seamed hosiery; I assume the writer(s) think that the joke is so funny that they continue to use the crooked seam joke despite the lack thereof. Seamless hosiery began replacing seamed hosiery about the same time I started crossdressing. I distinctly remember that the first few pairs of stockings that I borrowed from my mother had seams, then suddenly, she started buying seamless stockings, and not much later than that, she switched to pantyhose that were also seamless. By the way, this tirade was set off by a photo on flickr that I viewed earlier today in which a crossdresser is straightening his seams (according to the photo caption), yet he is wearing seamless hosiery. I'm glad I finally got that off my chest. Now I feel better! Steve Schepis on stage in La Cage Aux Folles. 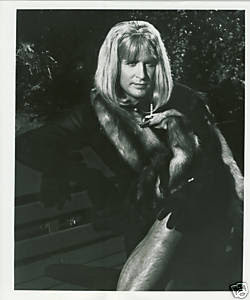 I believe it is a carry over from the all time classic cross dressing movie of all times - "Some Like It Hot". I suspect that it was to illustrate the broader concept of the fussing that women do in order to keep their look together. As for the seams, you and I are about the same age. Back in the day we did go to Mass every Sunday. I recall that my fascination with women's clothes included my watching the women (who all wore dresses to Church back then) as they would go up to receive communion and then counting the number of legs that wore seamed hose and the number of ladies wearing seamless hose. The concept of a women dressed for Sunday Church without hosiery was unheard of. Over the years of the mid 1960s seams simply vanished. About the same time that women wearing hats to church vanished! Funny you should mention this episode of "That Girl" I was just thinking about it the other day for some reason. The joke is that, if only the seams were straight, the man cross dressing would not be clocked at all - as if everything else were "passable". Of course, a committed cross dresser would never be seen with crooked seams. Still, it's just plain funny to some people (fewer now than 50 years ago, thank goodness) that a man would want to "seem" to be a woman (not to mention anything about seeming to be straight). The first cross dresser I ever saw in real life was walking ahead of me as we crossed the street at a downtown intersection. I was about 14, and already quite proficient at my hidden "craft" (I had no idea of what else it might be at that time). The cross dresser ahead of me both intrigued me and disgusted me, as her seams were straight, but her hose were matting down a substantial amount of black leg hair. Sometimes, we have more to get straight than our hose - seamless or not. Ted Bessell did not shave his legs for his That Girl femulation. You can see that for yourself here. 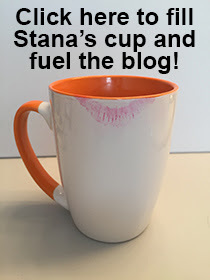 Thanks, Stana, but I'll have to pass on looking at that! Eewwww. I think he was a writer.. and he was doing an article about park muggings, and he was bait.. either escorted by or trailed by a cop. I seem to remember he asked to borrow earrings, and she told him all hers were for pierced ears, and her dad said :"That can be arranged"